The 2016 Sundance Film Festival is only a few days in, but seemingly a bona fide sensation has already been unveiled in the form of the new drama Manchester by the Sea written and directed by Kenneth Lonergan (You Can Count on Me). The drama stars Casey Affleck (Gone Baby Gone), Michelle Williams (Blue Valentine) and Kyle Chandler (Carol), and today, Deadline exclusively broke the news, that Amazon has acquired the title in a deal closing at $10 million with plans for the streaming service to release the movie theatrically some point later in the year. The film- Lonergan’s first since the agonizing and near decade-long struggle to bring his 2011 drama Margaret to the screen- takes place in the titular New England town and centers around a grief-ridden man forced to return home and take care of his teenage nephew following the death of his brother. The ensemble cast in rounded out by Gretchen Mol (The Notorious Bettie Page), Kara Hayward (Moonrise Kingdom), Heather Burns (Choke), Tate Donovan (Argo) and Lucas Hedges (Kill the Messenger). Lonergan previously wowed Sundance with his 2000 debut feature You Can Count on Me (which starred Laura Linney and provided a breakthrough for Mark Ruffalo). That film won both the Grand Jury Prize and the Waldo Salt Screenwriting Prize after world premiering at the 2000 Sundance Film Festival. Lonergan eventually earned an Oscar nomination for penning the screenplay- he also received a second Oscar nod for co-writing Martin Scorsese’s 2002 epic Gangs of New York. His follow-up film was Margaret, an ambitious, star-studded ensemble piece starring Anna Paquin, Ruffalo and Matt Damon (who was original slated to star in Manchester yet still serves one of the producers of the film). That film, while critically admired in the end, proved a post-production nightmare as it spent years in the editing room before eventually earning a tiny theatrical window in the fall of 2011. 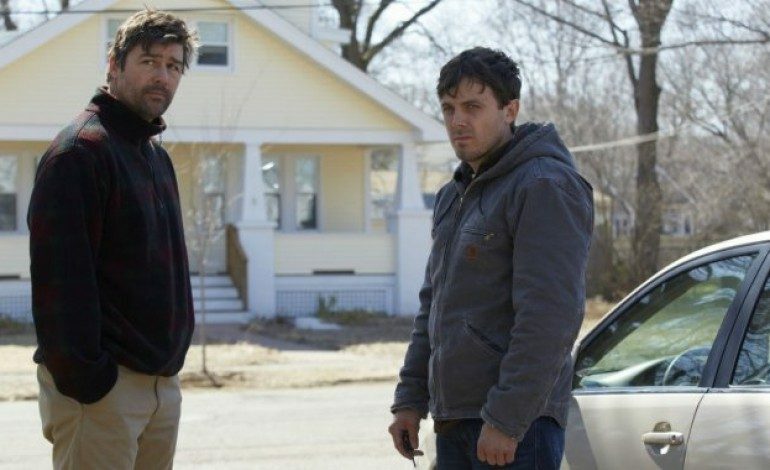 The writer-director appears to have redeemed himself here as Manchester by the Sea has earned early critical raves and may prove an awards player at the end of the year. While sales at the 2016 Sundance Film Festival appear to be on the softer side thus far, streaming services like Amazon and rival Netflix have asserted themselves with deep pockets. On top of Manchester by the Sea, Amazon already has acquired streaming rights to two other movies playing at Sundance – the Whit Stilman period film Love & Friendship (starring Chloe Sevigny and Kate Beckinsale), which Roadside Attractions will release theatrically, and the Rachel Weisz drama Complete Unknown which was acquired before the Park City festival started. Netflix, on the other hand, picked up the Ellen Page-headlined Tallulah as well as the critically admired Iranian ghost story Under the Shadow. This past December, the Spike Lee satire Chi-Raq was the first Amazon feature to experiment with a pre-streaming theatrical run. While Chi-Raq only earned about $2.5 million at the domestic box office (Roadside Attraction released the film theatrically), that run (as well as Netflix’s recent Beasts of No Nation) mark starting points for game-changing models of streaming services getting into the movie business. We shall see what will come of Amazon’s ambitious slate following Sundance. Well stay tuned to future developments surrounding Manchester by the Sea.